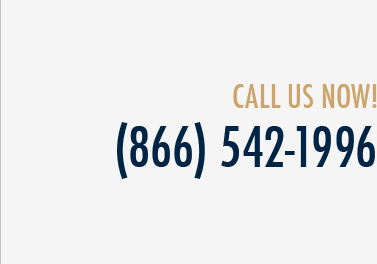 From our offices in Jacksonville, Miami, Tampa and West Palm Beach, the attorneys at St. Denis & Davey, P.A. are retained by insurance companies to represent their interests as well as those of the insured. In our litigious society, and in tough economic times, people are sometimes tempted to file frivolous claims against business owners. As experienced insurance defense attorneys, we are familiar with the most common claims faced by various types of businesses, and have the resources, knowledge, and skills to contest them. When an insured business faces a valid and reasonable claim, we do our utmost to resolve it as promptly and efficiently as possible. However, if settlement offers or negotiations fail, or if our clients are simply not liable, we are well prepared to handle all aspects of litigation--from discovery (including key depositions) through pretrial motions, jury selection, the mounting of a strategic and effective defense, and any appeals that may become necessary. St. Denis & Davey, P.A. has built up an enviable track record of success in insurance defense cases. We have successfully faced some of the best-known litigation firms in the country, and achieved numerous jury verdicts throughout the state of Florida. We have also succeeded, on behalf of our clients, in numerous arbitrations. Our firm’s founder, Donald W. St. Denis, is a Board-Certified Florida Bar Civil Trial Practice attorney and has received the highest AV rating from his peers. Since its first year of existence, the firm has been listed in the Bar Register of Pre-Eminent Attorneys and in BESTS Recommended Insurance Attorneys. Mr. St. Denis has been named a “Super Lawyer” for the past three years in a row. In most Florida insurance defense matters, hiring a firm with a reputation for success at trial would make it less likely that litigation would ultimately ensue. The vast majority of non-frivolous claims are resolved through settlements, and tested attorneys with in-depth knowledge of the applicable laws and of settlements achieved in comparable cases are more likely to reach settlement terms that best serve their clients’ interest. 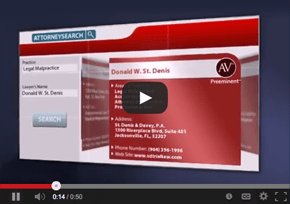 For assistance in any Florida insurance defense matter, please contact St. Denis & Davey, P.A. : call (866) 542-1996, email info@sdtriallaw.com, or fill out and submit our “Contact Us” form.